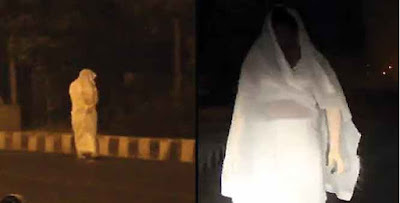 A woman in white sari has been spotted by many drivers on this road. According to reports she runs alongside people's vehicles, and apparently has bulging eyes and a tongue the length of your forearm. Many BPO cab drivers have registered complaints about this incident. This woman who haunts this road, is supposed to have been killed in an accident that took place here years ago and since then, this road has been haunted by the spirit of this lady. There have been many such haunted incidents on this road and if you ever pass through this stretch during midnight, drive slowly and pray.